A versatile shirt with an easy-care bonus. A button-down shirt is a great way to make your suit feel more relaxed. The one is made from a premium material with a fine texture to ensure you still look smart. Made from 100% cotton, it’s comfortable too, and the zero-iron technology means you can keep your iron away. 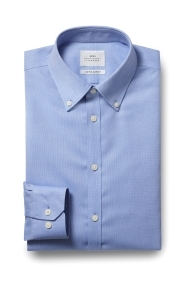 Cut in an extra slim fit, this shirt will look best with a skinny fit suit. It will go with lots of colours. 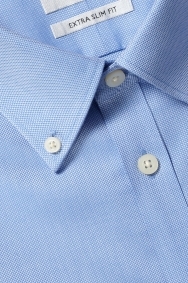 Go without a tie and feel free to button it to the top or leave the top one undone.